The parents didn’t want to give away too many of their secrets, but the pack does light up. and the blaster does dismount for full effect. No word if they experimented with crossing the streams, though. We think that is an IMPRESSIVE take, especially seeing as the movie hadn’t come out yet at the time of the build. A quick google search shows similar build kits go for upwards of $600, and reproductions on Etsy are as much as $1400! 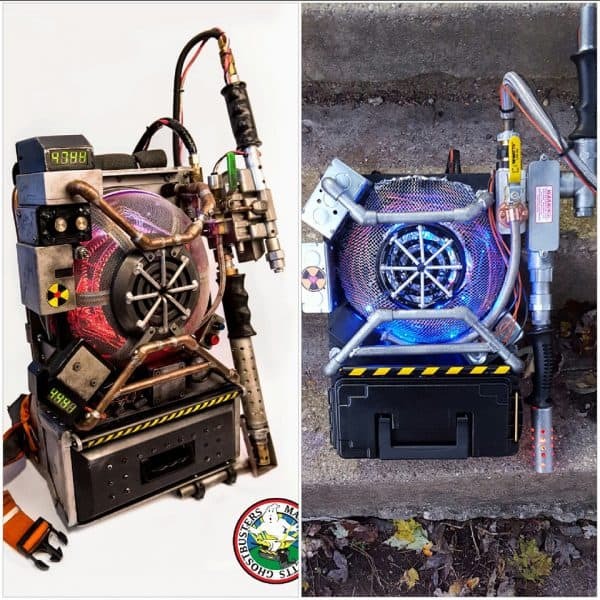 We did find this post on Instructables for a more classic Ghostbusters Proton Pack, if you think you’d like to attempt this for your own ghoul squad — October will be here before you know it, and we’re guessing one pack won’t be enough for most trick or treat entourages. 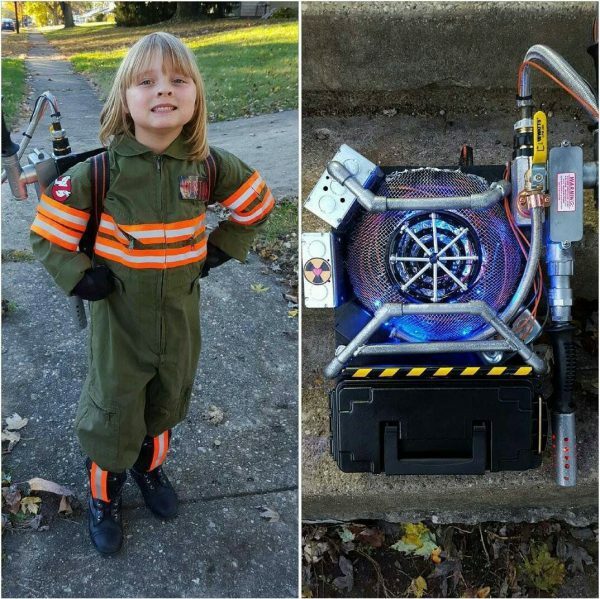 Kudos to these parents for not only embracing a new take on a beloved childhood classic, but for encouraging their kids to dream big and build it themselves.